WHY DID GOD CHOOSE THE JEWISH PEOPLE TO BE HIS CHOSEN PEOPLE FOREVER? Our teaching from Torah, The Law of Moses will continue from Deuteronomy 6.20-25. AND THE TITLE OF OUR MESSAGE IS, WHY DID GOD CHOOSE THE JEWISH PEOPLE TO BE HIS CHOSEN PEOPLE FOREVER? And with that said, Let’s read Deuteronomy 6.20-25. Let’s start from the Beginning and see why GOD Chose The Jewish People to be His Chosen People forever. The opening words of The Bible, and The Beginning of Torah, The Law of Moses in Genesis 1.1 read, IN THE BEGINNING GOD CREATED THE HEAVENS AND THE EARTH. SINCE GOD CREATED THE HEAVENS AND THE EARTH AND EVERYTHING IN IT, THE BIBLE, THEREFORE IS WRITTEN TO EVERYONE IN THE HEAVENS AND ON THE EARTH. TO THE ANGELS IN HEAVEN, TO ALL THE PEOPLE ON EARTH, AND YES, TO GOD HIMSELF. BECAUSE GOD MUST LIVE HIS LIFE ACCORDING TO EVERY WORD HE HAS SPOKEN IN THE BIBLE. The Hebrew for Sabbath is SHABBAT. AND SHABBAT comes from SHAVAHT, the Hebrew word for RESTED. After Creating the earth full of good things, GOD formed man from the dust of the ground and breathed into his nostrils the breath of life. And man became a living soul. Also in Genesis Chapter 2, early in The Creation when Adam was the only human being on earth, GOD made a Public Declaration of what He requires of every human being. And what GOD requires of every human being is Obedience. Obedience to GOD. Obedience to Every Word that proceeds out of The Mouth of GOD. Yesterday, today, and forever, GOD Commands Everyone to Obey Every Word He Speaks in The Bible from Genesis through Revelation. There is a story in The Bible that is one of the most popular stories ever written. But one of the most important Teachings ever Taught. You all know it. After GOD created Adam, The LORD planted a Garden in Eden and put the man Adam there to dress it and keep it. And The LORD grew every pleasant tree that was good for food. And GOD also planted The Tree of Life in the center of the Garden. And also The Tree of The Knowledge of Good and Evil. HERE IS THE TEACHING. A VERY IMPORTANT TEACHING. GOD Commanded Adam, saying, Of every tree of The Garden you may freely eat. But The Tree of The Knowledge of Good and Evil you shall not eat of it. For in the day that you eat of that tree, you will surely die. SIMPLE TEACHING. OBEY WHAT GOD SAYS, OR ELSE. Following that, GOD created the woman Eve from one of Adam’s ribs. And GOD brought Eve to Adam. Eve in Hebrew is KHAH’VAH meaning Life Giver. And GOD married them and they became one flesh. And I’m sure that Adam told his wife what GOD Commanded him. Of every tree of the Garden you may freely eat, But of The Tree of The Knowledge of Good and Evil you shall not eat of it, for in the day that you eat of that tree, you will surely die. As everyone knows, the snake lied to Eve so she would disobey GOD. YOU WILL NOT SURELY DIE IF YOU DISOBEY GOD, THE SNAKE SAID TO EVE. Giving her a false reason to disobey GOD so she would eat what GOD told her husband Adam not to eat. YOU SEE, THE SPOKEN WORD OF GOD IS FOR EVERYONE. THEN AND TODAY. Satan’s lie to Eve should sink into your ears forever. So Eve listened to satan, and disobeyed GOD, and took the fruit of The Tree of The Knowledge of Good and Evil because it was good for food, and pleasant to the eyes. And a tree to be desired to make one wise. And she ate that fruit, and also gave it to her husband Adam, and he also ate. And because they disobeyed GOD, (that is sin) GOD caused their lives, as well as ours to be filled with troubles. And they both eventually died, as GOD said, rather than live forever in The Garden of Eden that was pure, perfect, beautiful, and without sin. REVIEW GENESIS 3.4-5 BECAUSE TODAY, NUMEROUS BIBLE TEACHERS TEACH THEIR CONGREGATIONS NOT TO OBEY GOD’S LAW OF MOSES, GOD’S SPOKEN WORD WRITTEN IN THE FIRST FIVE BOOKS OF THE BIBLE. AND THEY TOO GIVE FALSE REASONS TO DISOBEY GOD. GOD TELLS THIS SIMPLE LITTLE STORY THAT DISOBEDIENCE TO GOD BRINGS DEATH, WHILE OBEDIENCE TO GOD IS LIFE, EVEN ETERNAL LIFE. Yes, GOD in His Mercy gave Atonement through the animal sacrifice during Tabernacle and Temple times, and gives Atonement to all in Messiah Yeshua today when there is no Temple in Jerusalem. Genesis Chapters 4-5 teach of Cain and Abel, and the Descendants of Adam. Genesis Chapters 10-11 teach of the descendants of Noah. Everyone on earth today descends from Noah and his wife’s three sons and their wives. And GOD gave The Jewish People His Torah, His Law of Moses that Jewish People have Recorded in The Books of Genesis, Exodus, Leviticus, Numbers, and Deuteronomy for them and all the world to obey, and do for their good always. THE LAW OF MOSES IS THE SPOKEN WORD OF GOD. IT IS CRITICAL TO RECOGNIZE THAT. AND THE SPOKEN WORD OF GOD IS FOR GENTILES ALSO. The Prophets in The Bible are all Jewish. The Prophets of GOD received GOD’S Words and His Prophesies directly from The Lips of GOD. AND LIKE THE LAW OF MOSES, THE TEACHINGS OF THE JEWISH PROPHETS WRITTEN IN THE BIBLE ARE FOR ALL HUMANITY. 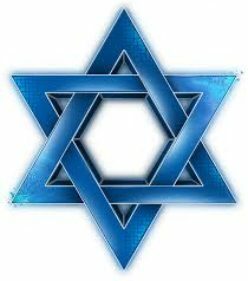 THOUGH GOD HAS CHOSEN THE JEWISH PEOPLE TO BE HIS CHOSEN PEOPLE, WE JEWISH PEOPLE ARE FAR FROM BEING PERFECT. IN FACT IT IS WRITTEN, THE JEWISH PEOPLE HAVE RECEIVED AT THE LORD’S HAND DOUBLE FOR HER SINS. SO WHY DID GOD CHOOSE THE JEWISH PEOPLE TO BE HIS CHOSEN PEOPLE FOREVER? GOD CHOSE THE JEWISH PEOPLE BECAUSE HE LOVES THE JEWISH PEOPLE. AND GOD CHOSE THE JEWISH PEOPLE TO MAKE THEM A HOLY PEOPLE UNTO THE LORD THEIR GOD, AND SPECIAL TO HIMSELF. TO BE HIS WITNESSES AND SERVANT TO KNOW AND BELIEVE GOD. AND UNDERSTAND THAT GOD IS GOD AND BEFORE GOD THERE WAS NO GOD FORMED. NEITHER WILL THERE BE AFTER HIM. A Witness is one who sees, or hears, or knows by personal presence, and testifies what he or she has seen, or heard, or knows by personal presence. Moses, The Prophets and The Writers of The New Testament are true Witnesses of GOD, who are Jewish and have Seen GOD, or Heard GOD, or Know GOD from Personal Presence. AS GOD’S WITNESSES, THE JEWISH PEOPLE, THE WRITERS OF THE BIBLE FROM GENESIS THROUGH REVELATION HAVE GIVEN THE BIBLE TO THE WORLD THAT BRINGS TO LIGHT ALL THAT GOD HAS REVEALED. TO OBEY EVERY WORD GOD SPEAKS. TO LOVE THE LORD YOUR GOD WITH ALL YOUR HEART, AND WITH ALL YOUR SOUL, AND WITH ALL YOUR MIGHT. TO KNOW AND UNDERSTAND THERE IS ONLY ONE GOD, AND MESSIAH YESHUA IS THAT ONE GOD, GOD ALMIGHTY, THE CREATOR OF HEAVEN AND EARTH. AND HE IS YOUR ATONEMENT. DEUTERONOMY 6.20-21 You can say to your children whether you are Jewish or not Jewish, GOD brought The Jewish People out of 400 years of Egyptian slavery after GOD made His People a great nation in Egypt. And GOD brought them into the Land that He swore to The Jewish fathers that GOD named Israel. DEUTERONOMY 6.22-23 You can tell your children that GOD showed great and terrible wonders upon the Egyptians and their King, the Pharaoh, to let The Children of Israel go and leave Egypt for their own Land. You can tell your children that GOD caused the rod that Moses put before Pharaoh to become a snake. And GOD made the waters in Egypt turn to blood. And GOD brought a plague of lice upon the land of Egypt. And swarms of flies covered Egypt. And GOD caused the Egyptian cattle to die in Egypt. All to get Pharaoh the king of Egypt to let The Children of Israel go so they could live in their own homeland. But still, Pharaoh would not let GOD’S People go. Then GOD brought boils and blains upon all the Egyptians. And hail and fire ran on the ground throughout Egypt. And locusts covered the entire land of Egypt. And then darkness, so dark it could be felt, covered Egypt for three days. But none of these plagues came upon The Children of Israel. And still Pharaoh would not let The Children of Israel go. And finally GOD brought the worst and final plague upon the Egyptians so the Pharaoh would let GOD’S People go. GOD killed the firstborn Egyptians in Egypt including the firstborn of Pharaoh and the firstborn of the animals of the Egyptians. And Pharaoh finally let The Children of Israel go. Some three million Jewish People. And others who were not Jewish joined them. And GOD appointed Moses, the servant of GOD to bring The Children of Israel out of Egypt. And GOD led them through the wilderness to The Promised Land, The Land of Canaan that GOD had the Children of Israel conquer and possess for their own country because the Canaanite people were a people who disobeyed GOD. DEUTERONOMY 6.24 And you can tell your children, GOD Commands you to live by all His Laws that are Written in The Bible. And you should Fear The LORD your GOD for your good always. And GOD will give you a long and good life for obeying Him. DEUTERONOMY 6.25 And when you live as GOD requires you to live your life according to His Word that is Written in The Bible, GOD says, That will be your Righteousness. Meaning, You are pleasing GOD and living your life according to all The Commandments that GOD Commands you in The Bible. Because GOD loves The Jewish People. And GOD made His Jewish People a Holy People unto Himself. To be His Servant and His Witnesses. To write The Entire Bible that teaches you about GOD. And to learn that GOD Commands you to Obey every Word GOD Speaks in The Bible for your good. And to know that GOD Blesses those who Bless His Jewish People and Israel. And GOD curses those who curse His Jewish People and Israel. And GOD Chose The Jewish People to be His Chosen People forever to Know GOD, and Believe and Understand there is ONLY ONE GOD. And Messiah Yeshua is that ONE GOD. And He is your Atonement for all your sins that leads to Eternal Life in Heaven with GOD ALMIGHTY, YESHUA THE MESSIAH, if you Obey Him. Posted on January 28, 2018 January 29, 2018 Categories Shabbat MessageLeave a comment on WHY DID GOD CHOOSE THE JEWISH PEOPLE TO BE HIS CHOSEN PEOPLE FOREVER? WHY ARE WE TAUGHT TO REJECT THE LAW OF MOSES WHEN GOD SAYS OBEYING HIS LAW WILL BRING BLESSINGS UPON YOU? BUT DISOBEYING THE LAW OF MOSES, GOD SAYS, WILL BRING CURSES UPON YOU. Our teaching will continue from The Law of Moses in Deuteronomy 6.16-19. AND THE TITLE OF OUR MESSAGE IS, WHY ARE WE TAUGHT TO REJECT THE LAW OF MOSES WHEN GOD SAYS, OBEYING HIS LAW WILL BRING BLESSINGS UPON YOU? BUT DISOBEYING THE LAW OF MOSES, GOD SAYS, WILL BRING CURSES UPON YOU. And with that said, let’s read Deuteronomy 6.16-19. DEUTERONOMY 6.16 GOD SPEAKING THROUGH MOSES, SAYS, YOU SHALL NOT TEMPT THE LORD YOUR GOD AS YOU TEMPTED HIM IN MASSAH. The word TEMPT in Hebrew is NAH’SAH meaning, Test, Tempt, or Try. YOU TEMPT OR TEST THE LORD YOUR GOD BY PROVOKING HIM TO ANGER BY DOUBTING HIM. BY DOUBTING GOD’S POWER. DOUBTING GOD THAT HE WILL HELP YOU, OR ASSIST YOU IN TIME OF TROUBLE. AND DOUBTING GOD IS NOT TRUSTING GOD. Moses certainly was not able to give The People water to drink. So The People complained and argued with Moses, and asked, Is The LORD among us, or not? Yes, The LORD was among them, but it would have been better for them had they Trusted The LORD, and Prayed to The LORD their GOD to give them water to drink. GOD SAYS, YOU SHALL NOT TEMPT THE LORD YOUR GOD. VERSE 4 MESSIAH WAS MAKING THE POINT TO SATAN AND ALL MANKIND THAT IT IS WRITTEN (DEUTERONOMY 8.3) THAT MAN SHALL NOT LIVE BY BREAD ALONE BUT BY EVERY WORD THAT PROCEEDS OUT OF THE MOUTH OF GOD. THINK ON THOSE WORDS VERY CAREFULLY. THEN THE DEVIL TOOK MESSIAH TO JERUSALEM AND SET HIM ON A PINNACLE OF THE TEMPLE, THE HIGHEST PART OF THE TEMPLE, AND SAID TO HIM, IF YOU ARE THE SON OF GOD, THROW YOURSELF DOWN, FOR IT IS WRITTEN (PSALM 91.11-12) HE SHALL GIVE HIS ANGELS CHARGE CONCERNING YOU. AND IN THEIR HANDS THEY SHALL BEAR YOU UP LEST AT ANY TIME YOU DASH YOUR FOOT AGAINST A STONE. VERSE 7 AND MESSIAH SAID TO SATAN, IT IS WRITTEN AGAIN (DEUTERONOMY 6.16) YOU SHALL NOT TEMPT THE LORD YOUR GOD. MESSIAH YESHUA IS TEACHING THE WORLD IN THESE SCRIPTURES THAT HE IS GOD ALMIGHTY, HA SHEM ELOHIM WHEN HE SAID TO SATAN, YOU SHALL NOT TEMPT THE LORD YOUR GOD. SATAN TESTING MESSIAH WAS TESTING GOD ALMIGHTY. BECAUSE MESSIAH YESHUA IS GOD ALMIGHTY. SO AGAIN, DO NOT TEST THE LORD YOUR GOD. DO NOT DOUBT HIM. DEUTERONOMY 6.17-19 WHY IS IT THAT WE ARE TAUGHT BY JUST ABOUT EVERY BIBLE TEACHER OUTSIDE OF JUDAISM TO REJECT TORAH, THE LAW OF MOSES? BECAUSE GOD SAYS, AND IT IS WRITTEN IN THE BIBLE, WHEN YOU OBEY HIS LAW OF MOSES, THE LORD YOUR GOD WILL SET YOU ON HIGH ABOVE ALL THE NATIONS OF THE EARTH, AND WONDERFUL BLESSINGS WILL COME UPON YOU, AND OVERTAKE YOU, IF YOU OBEY HIS LAW OF MOSES. BUT GOD ALSO SAYS, AND IT IS WRITTEN IN THE BIBLE, IT WILL COME TO PASS, IF YOU WILL NOT OBEY THE LAW OF MOSES, CURSES WILL COME UPON YOU AND OVERTAKE YOU? Blessings will come upon you and overtake you when you obey Torah, GOD’S Law of Moses. And the same Bible teaches that rejecting The Law of Moses will bring curses upon the disobedient, those who reject and disobey The Law of Moses. GOD SAYS THROUGH HIS SERVANT MOSES IN DEUTERONOMY 6.17-19, YOU SHALL DILIGENTLY KEEP THE COMMANDMENTS OF THE LORD YOUR GOD, AND HIS TESTIMONIES, AND HIS STATUTES. THE COMMANDMENTS OF GOD ARE ALL HIS COMMANDMENTS WRITTEN IN THE BIBLE THAT INCLUDE HIS LAW OF MOSES. GOD’S TESTIMONIES ARE HIS WORDS THAT HE SPEAKS IN THE BIBLE. AND GOD’S STATUTES ARE HIS COMMANDMENTS AND LAWS THAT GOD COMMANDS ALL HUMANITY TO LIVE BY FOR OUR GOOD. AND GOD SAYS, YOU SHALL DO THAT WHICH IS RIGHT AND GOOD IN THE SIGHT OF THE LORD, THAT IT WILL BE WELL WITH YOU. DOING THAT WHICH IS RIGHT AND GOOD IN THE SIGHT OF THE LORD IS OBEYING THE COMMANDMENTS OF GOD, AND THE WORDS THAT GOD SPEAKS IN THE BIBLE, AND HIS LAWS THAT GOD HAS COMMANDED US TO LIVE BY. THEN GOD SAYS, IT WILL BE WELL WITH YOU. LISTEN TO WHAT THE HEBREW WORD FOR “WELL” MEANS, AS IN, IT WILL BE WELL WITH YOU WHEN YOU OBEY GOD. THE HEBREW WORD FOR WELL IS YAH’TAHV. AND IT HAS SOME WONDERFUL MEANINGS. WHEN YOU OBEY GOD’S LAW OF MOSES, IT WILL BE WELL WITH YOU, IT WILL BE SOUND WITH YOU. THAT IS YOU WILL BE HEALTHY WITH A SOUND BODY. AND BEAUTIFUL. YOU WILL BE HAPPY, RIGHT, AND SUCCESSFUL. AND YOU WILL BE ACCEPTED BY GOD. YOU WILL BENEFIT, BE BETTER, AND BE THE BEST. IT WILL MAKE YOU CHEERFUL, COMELY AND CONTENT. YOU WILL FIND FAVOR, NO DOUBT WITH GOD, AND WITH MAN. YOU WILL DO GOOD, MAKE GOOD, BE GOOD, AND BE GLAD. YOU WILL MAKE MERRY, AND PLEASE GOD. YOU WILL SHOW MORE KINDNESS. YOU WILL BE SKILLFUL, MAKE SWEET, BE WELL, AND IT WILL BE WELL WITH YOU WHEN YOU DILIGENTLY KEEP THE COMMANDMENTS OF THE LORD YOUR GOD, AND HIS WORD AND HIS STATUTES THAT ARE WRITTEN IN THE LAW OF MOSES IN THE FIRST FIVE BOOKS OF THE BIBLE. YES, YOUR SINS ARE FORGIVEN IN THE MESSIAH YESHUA. YOU HAVE BECOME A NEW PERSON LIVING A NEW LIFE IN OBEDIENCE TO THE LORD YOUR GOD WHO IS MESSIAH YESHUA, GOD ALMIGHTY, THE FATHER, THE CREATOR OF HEAVEN AND EARTH. THE BIBLE TEACHES THAT OBEYING THE LAW OF MOSES BRINGS BLESSINGS UPON YOU, MIGHTY BLESSINGS FROM GOD. BUT THE BIBLE ALSO TEACHES THAT NOT OBEYING THE LAW OF MOSES BRINGS CURSES UPON THE DISOBEDIENT. GOD SAYS, IF YOU ARE DEDICATED AND COMMITTED, AND DILIGENTLY OBEY HIS LAWS, TEACHINGS AND INSTRUCTIONS THAT ARE WRITTEN IN THE LAW OF MOSES IN THE FIRST FIVE BOOKS OF THE BIBLE, HE WILL SET YOU ON HIGH ABOVE ALL THE NATIONS OF THE EARTH. AND ALL THESE BLESSINGS WILL COME UPON YOU, AND OVERTAKE YOU IF YOU OBEY THE VOICE OF THE LORD YOUR GOD. YOU WILL BE BLESSED IN THE CITY AND IN THE FIELD. THAT IS, YOU WILL BE BLESSED IN YOUR WORK, AND YOU WILL BE BLESSED WHEREVER YOU GO. YOUR CHILDREN WILL BE BLESSED, AND YOUR WORK WILL BE BLESSED. AND GOD WILL BLESS YOUR FOOD. AND YOU WILL ALWAYS HAVE PLENTY. GOD WILL BLESS YOU WHEN YOU COME INTO YOUR HOUSE AND HE WILL BLESS YOU WHEREVER YOU GO WHEN YOU GO OUT OF YOUR HOUSE. AND GOD WILL PROTECT YOU AND YOUR FAMILY. YOU WILL DEFEAT YOUR ENEMIES THAT COME AGAINST YOU. AND GOD WILL DO THE DEFEATING FOR YOU. AND GOD WILL BLESS YOU IN ALL THAT YOU SET YOUR HAND TO DO. BECAUSE YOU ARE DOING THAT WHICH IS RIGHT AND GOOD IN THE SIGHT OF THE LORD. AND GOD WILL ESTABLISH YOU A HOLY PEOPLE TO HIMSELF IF YOU OBEY HIS COMMANDMENTS THAT ARE WRITTEN IN THE LAW OF MOSES, AND YOU WALK IN HIS WAYS. AND PEOPLE WILL SEE THAT YOU ARE CALLED BY THE NAME OF THE LORD. THAT YOU ARE CALLED BY GOD. AND THE LORD WILL MAKE YOU PLENTEOUS IN GOODS. THAT IS, GOD WILL MAKE YOU EXCEED AND EXCEL IN ALL THAT YOU DO. AND GOD WILL OPEN HIS GOOD TREASURE, THE HEAVEN TO GIVE YOU RAIN TO YOUR LAND. AND HE WILL BLESS ALL THE WORK OF YOUR HAND. AND GOD WILL MAKE YOU THE HEAD AND NOT THE TAIL, AND YOU WILL BE ABOVE ONLY, AND YOU WILL NOT BE BENEATH. IF YOU OBEY THE COMMANDMENTS OF THE LORD YOUR GOD WHICH HE COMMANDS YOU TO OBSERVE AND TO DO THEM. AND YOU SHALL NOT GO ASIDE FROM ANY OF THE WORDS THAT GOD COMMANDS YOU, TO THE RIGHT HAND OR TO THE LEFT. AND YOU SHALL ONLY SERVE THE LORD YOUR GOD, THE GOD OF ABRAHAM, ISAAC AND JACOB, THE CREATOR OF HEAVEN AND EARTH, THE MESSIAH YESHUA. BUT GOD BRINGS CURSES UPON THOSE WHO DISOBEY HIS LAW OF MOSES. THE CURSES ARE WRITTEN IN DEUTERONOMY 28.15-68, SOME 53 VERSES OF CURSES FOR DISOBEYING GOD’S LAW OF MOSES. LET’S READ DEUTERONOMY 28.15, AND THEN WE WILL TAKE NOTE OF SOME OF THOSE CURSES. THOSE WHO REJECT AND DISOBEY GOD’S LAW OF MOSES WILL BE CURSED IN THE CITY AND CURSED IN THEIR WORK. THEIR FOOD WILL BE CURSED. AND THEIR CHILDREN WILL BE CURSED. THEY WILL BE CURSED WHEN THEY COME IN AND CURSED WHEN THEY GO OUT. AND THE LORD WILL CURSE EVERYTHING THEY DO. AND GOD WILL BRING EXTREME SICKNESS UPON THEM WHO DISOBEY GOD’S LAW OF MOSES. THOSE ARE JUST SOME OF GOD’S CURSES FOR DISOBEYING HIS LAW OF MOSES. GOD LISTS A WHOLE BUNCH OF SHOCKING CURSES IN 53 VERSES THAT WILL COME UPON, AND OVERTAKE THE DISOBEDIENT BECAUSE THEY WOULD NOT OBSERVE TO DO ALL THE WORDS OF GOD’S LAW THAT ARE WRITTEN IN THE BIBLE, THAT THEY WOULD FEAR THE GLORIOUS AND FEARFUL NAME OF THE LORD THEIR GOD. YESHUA TELLS A STORY THAT HAS A CRITICAL TEACHING ABOUT ETERNITY IN HEAVEN, AND ETERNITY IN HELL. A STORY YOU NO DOUBT HAVE HEARD OFTEN ABOUT A BEGGAR WHO DIED, AND WAS CARRIED BY THE ANGELS INTO HEAVEN. AND A RICH MAN WHO DIED AND WENT TO HELL. MESSIAH SAID THERE WAS A CERTAIN RICH MAN, AND A BEGGAR NAMED LAZARUS WHO WAS LAID AT THE GATE OF THE RICH MAN. AND THE BEGGAR WAS FULL OF SORES JUST HOPING TO BE FED WITH THE CRUMBS THAT FELL FROM THE RICH MAN’S TABLE. THE DOGS EVEN CAME AND LICKED THE BEGGAR’S SORES. AND IT CAME TO PASS THAT THE BEGGAR DIED,AND WAS CARRIED BY THE ANGELS INTO ABRAHAM’S BOSOM IN HEAVEN. AND THE RICH MAN ALSO DIED, AND WAS BURIED, AND IN HELL HE LIFTED UP HIS EYES AND SAW ABRAHAM FAR OFF, AND LAZARUS IN HIS BOSOM. AND THE RICH MAN CRIED OUT, FATHER ABRAHAM, HAVE MERCY ON ME AND SEND LAZARUS TO DIP HIS FINGER IN WATER AND COOL MY TONGUE FOR I AM TORMENTED IN THIS FLAME. BUT ABRAHAM SAID, SON, REMEMBER, YOU HAD GOOD THINGS IN YOUR LIFE, BUT LAZARUS HAD EVIL THINGS. BUT NOW HE IS COMFORTED AND YOU ARE TORMENTED. AND BESIDE, THERE IS A GREAT FIXED GULF BETWEEN US SO THAT YOU CAN’T COME HERE AND WE CAN’T COME TO YOU. AND THE RICH MAN SAID, PLEASE, I PLEAD WITH YOU FATHER THAT YOU WOULD SEND LAZARUS TO MY FATHER’S HOUSE FOR I HAVE FIVE BROTHERS THAT LAZARUS CAN TESTIFY TO THEM LEST THEY ALSO COME TO THIS PLACE OF TORMENT. AND HERE IS THE REASON MESSIAH IS TELLING THIS VERY IMPORTANT STORY, EVEN IN THE NEW TESTAMENT. AND ABRAHAM SAID TO THE RICH MAN, YOUR FAMILY HAS MOSES AND THE PROPHETS. LET THEM HEAR THEM. THAT IS, LET YOUR FAMILY HEAR AND OBEY ALL THAT GOD HAD MOSES WRITE IN THE LAW OF MOSES, AND ALL THAT THE PROPHETS SAY IN THEIR WRITINGS. BUT THE RICH MAN SAID, NO, FATHER ABRAHAM. BUT IF ONE WENT TO THEM FROM THE DEAD THEY WILL REPENT. AND ABRAHAM SAID TO THE RICH MAN, IF THEY WILL NOT HEAR AND OBEY THE LAW OF MOSES AND THE PROPHETS, NEITHER WILL THEY BE PERSUADED TO DO THAT WHICH IS RIGHT AND GOOD IN THE SIGHT OF THE LORD THOUGH ONE ROSE FROM THE DEAD. MOST PEOPLE TODAY WILL NOT HEAR AND OBEY GOD’S LAW OF MOSES AND THE PROPHETS. AND IN ALL LIKELIHOOD THOSE SAME PEOPLE WOULD NOT BE PERSUADED TO OBEY THE LAW OF MOSES AND THE PROPHETS EVEN IF ONE ROSE FROM THE DEAD TO TESTIFY TO THEM THAT THEY MUST OBEY THE LAW OF MOSES AND THE PROPHETS ALONG WITH THEIR ATONEMENT IN MESSIAH YESHUA TO HAVE EVERLASTING LIFE IN HEAVEN. THAT IS NEW TESTAMENT TEACHING. Posted on January 21, 2018 Categories Shabbat MessageLeave a comment on WHY ARE WE TAUGHT TO REJECT THE LAW OF MOSES WHEN GOD SAYS OBEYING HIS LAW WILL BRING BLESSINGS UPON YOU? BUT DISOBEYING THE LAW OF MOSES, GOD SAYS, WILL BRING CURSES UPON YOU. WHY GOD DROVE THE CANAANITES OUT OF THE LAND OF CANAAN. Our Teaching will continue in Torah, The Law of Moses, from Deuteronomy 6.10-15. AND THE TITLE OF OUR MESSAGE IS, WHY GOD DROVE THE CANAANITES OUT OF THE LAND OF CANAAN. And with that said, let’s read Deuteronomy 6.10-15. The Book of Deuteronomy begins as The Children of Israel are camped in the plains of Moab, current-day Jordan, prepared to enter The Promised Land, the land of Canaan that GOD will rename The Land of Israel. And Moses, at the time, was reviewing GOD’S Laws, Teachings and Instructions, called The Law of Moses that The Jewish People Documented in the first five Books of The Bible for all the families of the earth to follow. And here is part of Moses’ teaching. And houses that are full of all good things which you did not fill, and wells that are dug that you did not dig, and vineyards and olive trees which you did not plant. When you shall have eaten and are full, Moses said, then Beware lest you forget The LORD Who brought you forth out of the land of Egypt, from the house of slavery. So my question is, What happens when you forget The LORD your GOD? When you forget The LORD your GOD, you fall into sin. You don’t think about The LORD. You neglect Him and disregard The LORD your GOD. Perverted their way means they fell into sin. GOD brought His People into the land of Canaan that was an established civilization. The Canaanite houses were filled with all good things. Food, clothing, furniture, and much more. And the Canaanite cities had wells and vineyards, and olive trees. The LORD said to The Children of Israel through His Servant Moses that they should not think in their heart that The LORD their GOD drove the Canaanite nations out of their land and their houses for you to possess because of your righteousness, but because of the Wickedness of the Canaanites. WICKEDNESS COMES FROM THE HEBREW WORD REE’SHAH MEANING, MORALLY WRONG. MORALLY WRONG MEANS THAT THE WAY THE CANAANITE PEOPLE LIVED THEIR LIVES WAS WRONG. THEY WERE WRONG BECAUSE THEY WILLFULLY DISOBEYED THE LAWS OF GOD. THEREFORE THE CANAANITES LIVED THEIR LIVES IN WICKEDNESS IN THE PRESENCE OF GOD. TODAY, THE LAWS OF THE LORD GOD ARE WRITTEN IN THE TORAH, THE LAW OF MOSES IN THE FIRST FIVE BOOKS OF THE BIBLE. So you might ask, How could these Canaanite people know GOD’S Laws 3,400 years ago when there was no Bible to teach them? They, along with all the ancient peoples should have known because GOD announced certain of His Laws some 2,000 years before He established The Jewish People who wrote The Bible that includes His Laws that are written in the Law of Moses. I understand that the story of Adam and Eve is taught throughout many religions. It’s a simple story. When you obey GOD you live. When you disobey GOD you die. Paul shows great insight and understanding of GOD with a statement he wrote in The Book of Romans. People who do wrong have no excuse because GOD has revealed to them what is right, and what is wrong. When people do wrong, whether they know GOD or not, they know they are doing wrong. Because The Light of the world Who is GOD ALMIGHTY, THE SPIRIT OF GOD is the life in all humanity. GOD REVEALS RIGHT AND WRONG TO ALL PEOPLE. The origin of Easter is the false goddess Eastre. That too is an Abomination to GOD. Yet many celebrate Easter and roll eggs. The Canaanites then, as most of the world today outside of Judaism did not, and do not observe GOD’S Commanded Sabbath on Saturday. Then there are GOD’S Food Laws that GOD established even before Abraham. Even before The Flood. Noah obeyed GOD’S Food Laws. And the days of Noah were well before GOD chose The Jewish People to be His witnesses and His servant. GENESIS 12.1 Years later, GOD took Abraham out from the Gentiles to establish His Jewish People. DEUTERONOMY 14 Explains GOD’S Food Laws. There is Only ONE GOD. Worshiping idols as the Canaanites did is worshiping false gods. And GOD hates that because He is GOD alone and there are no other GODS beside Him. Enoch knew there was ONLY ONE GOD because GOD said, Enoch walked with GOD and he was not. For GOD took him. Noah knew there was ONLY ONE GOD because GOD said, Noah was a Just and Perfect man in his generations. And Noah walked with GOD. So GOD drove the Canaanite people out of their houses, and out of their land. And their houses and land became the possession of The Children of Israel because the Canaanites were wicked in The Sight of GOD. They disobeyed GOD. The Canaanites, like most people today, did not, and do not live by The Rules of GOD. DEUTERONOMY 6.13 GOD tells us how to live our lives. And GOD speaks to all the world in The Bible, not only to The Jewish People. Fearing GOD is being Frightened of GOD, and holding Him in Awe, and Honor, and Great Respect. When you fear GOD, you begin to obey GOD. You begin to obey His Written Word in The Bible, and His Written Word in The Law of Moses. Obeying GOD prevents you from sinning against GOD. Then you will reject the false teaching that you are no longer required to obey The Law of Moses because The Law of Moses was valid up to the cross. THE BIBLE NEVER SAYS THAT, ANYWHERE. DEUTERONOMY 6.13 also says, You shall serve The LORD Your GOD. Serving THE LORD YOUR GOD is Working for GOD. And Working for GOD is living your life according to every Word GOD Speaks in The Bible that includes His Law of Moses. Isn’t it interesting that false teachers teach that The Works of The Law of Moses are useless and can only result in GOD’S curse and condemnation. Wow. Some false teachers even teach that you will lose your Salvation if you obey The law of Moses. The Law of Moses only happens to be The Word of GOD and The Laws of GOD. So I checked to see what The Servant of The LORD is required to do according to a certain Christian Bible Dictionary. And this is what I read. The Servant of The LORD is to worship GOD. And they should be humble, and express an inferior position. That’s it. THE BIBLE TEACHES US HOW THE SERVANT OF GOD IS TO SERVE GOD. THE SERVANT OF GOD SERVES GOD BY LIVING ACCORDING TO EVERY WORD GOD SPEAKS IN THE BIBLE. DEUTERONOMY 10.12 GOD DIRECTS THESE WORDS TO ISRAEL BECAUSE AS GOD’S WITNESSES AND SERVANT THE JEWISH PEOPLE ARE REQUIRED TO OBEY GOD, AND MAKE KNOWN TO THE WORLD THE VERY SAME REQUIREMENTS OF GOD FOR ALL MANKIND. JOHN 12.26 JESUS/YESHUA IS GOD ALMIGHTY. GOD also says in DEUTERONOMY 6.13, And you shall swear by My Name. MATTHEW 5.33 The correct translation is, Again you have heard that it has been said to the ancients, You shall not forswear yourself, but you shall perform to The LORD your oaths. FORSWEAR YOURSELF IS LYING, SWEARING FALSELY. YESHUA THE MESSIAH WHO IS GOD ALMIGHTY SAYS, DO NOT SWEAR AN OATH AT ALL, BUT LET WHAT YOU SAY BE YES, YES, OR NO, NO. ANYTHING MORE BRINGS EVIL. DEUTERONOMY 6.14-15 This Commandment is something you must consider very carefully. GOD says, You shall not go after other gods, of the gods of the people which are round about you. For The LORD YOUR GOD is a Jealous GOD among you. Lest the Anger of The LORD YOUR GOD is kindled against you and destroy you from off the face of the earth. Let me say this. When you diligently follow The Written Word of GOD in The Bible, you will be following The GOD of Creation. When you turn away from The WORD of GOD and follow teachings that deceive you, teachings that teach you not to obey The Law of Moses, and there is a trinity of three different GODS, you are going after other gods of the gods of the people round about you. THE TEACHING OF THE BIBLE MUST LINE UP WITH, AND AGREE WITH ONE SCRIPTURE. AND THAT SCRIPTURE IS, HEAR O ISRAEL, THE LORD OUR GOD, THE LORD IS ONE. SO IN CONCLUSION, WHY DID GOD DRIVE THE CANAANITES OUT OF THEIR LAND? BECAUSE THEY SINNED AGAINST GOD. THEY SINNED AGAINST THE LORD THEIR GOD BY DISOBEYING HIS SPOKEN WORD. AND THAT IS AN EXAMPLE WE SHOULD NOT FOLLOW. BUT THE EXAMPLE WE MUST FOLLOW ARE THE STEPS OF THE MESSIAH YESHUA. Posted on January 14, 2018 January 22, 2018 Categories Shabbat MessageLeave a comment on WHY GOD DROVE THE CANAANITES OUT OF THE LAND OF CANAAN. Our teaching will continue in Torah, The Law of Moses from Deuteronomy 6.5-9. AND THE TITLE OF OUR MESSAGE IS, AND YOU SHALL LOVE THE LORD YOUR GOD WITH ALL YOUR HEART, AND WITH ALL YOUR SOUL, AND WITH ALL YOUR MIGHT. And with that said, let’s read Deuteronomy 6.5-9. Words we read every Shabbat. JUDAISM CALLS THESE WORDS, THE VEE’AH’HAV’TAH. IN HEBREW MEANING, AND YOU SHALL LOVE. Earlier, Moses told The Children of Israel, some three million strong, that GOD Commands you to keep His Commandments, His Statutes, and His Judgments that you are to be taught to do them in the Land that you are to possess. That Land, of course, was the land of Canaan that GOD renamed Israel. BACK TO DEUTERONOMY And Moses also told The People, You are to Fear The LORD YOUR GOD to Keep all His Statutes and Commandments which GOD Commands you, you and your son, and your son’s son, all the days of your life, that your days will be Prolonged. And Moses continued, Hear GOD, and Listen to GOD, and Obey Him and do what GOD says that it will go well with you. That you will increase mightily as The LORD GOD of your fathers has promised you in The Land that flows with milk and honey. AND MOSES SAID, HEAR O ISRAEL, THE LORD OUR GOD, THE LORD IS ONE. MEANING, HEAR WHAT GOD SAYS, AND OBEY EVERY WORD GOD SPEAKS IN THE BIBLE. AND THERE IS ONLY ONE GOD. THAT ONE GOD IS THE FATHER, THE MESSIAH YESHUA, THE SPIRIT, THE HOLY SPIRIT, THE SON OF GOD, THE ANGEL OF GOD, THE ANGEL OF THE LORD, MELCHIZEDEK, THE GLORY OF GOD, AND SO MUCH MORE. DEUTERONOMY 6.5 AND YOU SHALL LOVE THE LORD YOUR GOD WITH ALL YOUR HEART, AND WITH ALL YOUR SOUL, AND WITH ALL YOUR MIGHT. How do you prove to GOD, and prove to yourself that you Love GOD? Remember, GOD’S Commandments are every Word that proceeds out of The Mouth of GOD. And that includes every Word GOD speaks in His Law of Moses that is Written in the first five Books of The Bible. AND WHEN YOU OBEY GOD, THE LORD WILL GIVE YOU ANOTHER COMFORTER. THAT COMFORTER, OF COURSE, IS THE HOLY SPIRIT. AND GOD SAYS, THE HOLY SPIRIT WILL REMAIN WITH YOU FOREVER. ASSUMING YOU CONTINUE TO OBEY THE LORD YOUR GOD. Messiah gives us an example, something to be imitated. To wash one another’s feet. So why did Messiah wash their feet, and why is it an example for us? JOHN 13.7 YESHUA SAID TO PETER, WHAT I DO, YOU DO NOT KNOW NOW, BUT YOU WILL KNOW IN THE FUTURE. MESSIAH’S DISCIPLES WERE ON HOLY GROUND IN THE PRESENCE OF THE LORD GOD ALMIGHTY, YESHUA THE MESSIAH, THE CREATOR OF HEAVEN AND EARTH, THE ONE WHO APPEARED TO MOSES IN THE BURNING BUSH. THEREFORE MESSIAH WASHED HIS DISCIPLES FEET MAKING THEM SPIRITUALLY CLEAN IN HIS PRESENCE, IN THE PRESENCE OF GOD. So what is the example that Messiah passed on to us when He washed His Disciples feet? DEUTERONOMY 6.5-6 You shall Love The LORD YOUR GOD with all your Heart, and with all your Soul, and with all your Might. And these Words which I Command you this day, Moses said, shall be in your Heart. Heart in Hebrew is LAYVE. Also meaning MIND. Thus Moses Teaches us that These Words of GOD which I Command you this day should be in YOUR MIND. The Hebrew for “THESE WORDS” are, HAD’VAHREEM HA’AYLEH. And THESE WORDS OF GOD, in fact EVERY WORD OF GOD that is Written in The Bible is GOD’S Commandment, His Decree, which is His Law. GOD’S Word is His Judgment. That is His Decision and Verdict according to Torah, The Law of Moses. GOD’S Word is His Message, His Promise, His Purpose. And GOD’S Word is Work. And Moses continues, And you shall Love The LORD YOUR GOD with all your Heart, and with all your Soul. Soul in Hebrew is NEH’FESH. The Soul has a number of meanings. So when GOD says, You shall love The LORD YOUR GOD with all your Soul, He means, You shall Love The LORD YOUR GOD with your entire Life, with all your Mind, with all your Affection and Devotion shall you Love THE LORD YOUR GOD. REMEMBER, MESSIAH YESHUA IS GOD ALMIGHTY, THE FATHER. HE IS ELOHIM. AND MESSIAH’S COMMANDMENTS ARE EVERY WORD HE SPEAKS IN THE BIBLE FROM GENESIS 1.1 THROUGH REVELATION 22.21. AND AS PETER AND THE OTHER APOSTLES SAID IN ACTS 5.29, “WE OUGHT TO OBEY GOD RATHER THAN MAN.” CAREFULLY THINK ON THAT. AND YOU SHALL LOVE THE LORD YOUR GOD WITH ALL YOUR MIGHT. MIGHT in Hebrew is MEE’ODE, meaning MIGHT AND STRENGTH. YOUR FULL COMMITMENT TO GOD, YOUR ENTIRE BEING DEVOTED TO GOD WITH ALL YOUR STRENGTH, AND WITH ALL YOUR MIGHT. AND YOU SHALL LOVE THE LORD YOUR GOD WITH ALL YOUR HEART, AND WITH ALL YOUR SOUL, AND WITH ALL YOUR MIGHT. AND THESE WORDS WHICH I COMMAND YOU THIS DAY SHALL BE IN YOUR HEART. THAT IS THE FOUNDATION OF YOUR FAITH IN THE MESSIAH YESHUA, THE CREATOR OF HEAVEN AND EARTH. DEUTERONOMY 6.7 AND YOU SHALL TEACH THE WORD OF GOD DILIGENTLY TO YOUR CHILDREN, AND SHALL TALK OF THEM WHEN YOU SIT IN YOUR HOUSE, AND WHEN YOU WALK BY THE WAY, AND WHEN YOU LIE DOWN, AND WHEN YOU RISE UP. I was fortunate to have an Orthodox Jewish mother and father because they lived a GODLY Life and taught me about The Bible and Jewish Law. But when I grew older and traveled, I slipped away from The Precepts of GOD, causing me to do very little if any teaching to my children about The LORD. I rarely spoke to them of The LORD GOD when we sat in our house, or walked by the way, or when we were lying down, or rising up. Now, of course, I speak to them about The LORD. But not all the time because some of our children, not all, have removed themselves from The LORD and are indifferent, without any interest in The LORD Their GOD. While some of our children even reject The LORD outright. However one of our children has received The LORD GOD MESSIAH YESHUA with Love. Prayer is a powerful tool. And I believe in time that all our children and grandchildren will be Holy to THE LORD, and GODLY men and women, Fearing THE LORD, Loving THE LORD with all their Heart, and with all their Soul, and with all their Might. HOWEVER, THE WORD OF GOD TEACHES YOU AND ME TO TEACH OUR CHILDREN DILIGENTLY WHEN WE ARE SITTING IN OUR HOUSE, WHEN WE WALK BY THE WAY, WHEN WE LIE DOWN, AND WHEN WE RISE UP. Start early when your children or grandchildren are babies or little kids because it might be difficult starting when they are grown adults to Hear The Word of GOD and Live by it as I have experienced. But always tell your children of The LORD. DEUTERONOMY 6.8 AND YOU SHALL BIND THEM, (GOD’S WORDS) FOR A SIGN UPON YOUR HAND, AND THEY SHALL BE FRONTLETS BETWEEN YOUR EYES. FRONTLETS BETWEEN YOUR EYES IS TAKING GOD’S WORD TO HEART, AND OBEYING EVERY WORD HE SPEAKS. Many Jewish adult men take these Verses literally and wear certain Scriptures of GOD in little black leather boxes on their hands and between their eyes in what are called Tefillin. Tefillin outside of Judaism are called Phylacteries. Tefillin in Hebrew means Prayers. And Tefillin are worn mostly during Prayer Service. Other Jewish men like myself take these words of Deuteronomy 6.8, “And you shall bind them upon your hand, and they shall be as frontlets between your eyes.” to mean that we must take GOD’S word to heart, and live by every Word God Speaks in The Bible. I do not wear Tefillin. But both points of view have merit. ON THE OTHER HAND, LET’S READ DEUTERONOMY 6.9. AND YOU SHALL WRITE THEM (THE WORDS OF GOD) UPON THE POSTS OF YOUR HOUSE AND ON YOUR GATES. Similar Scriptures to those written inside the Tefillin leather boxes. So I believe we are to wear GOD’S WORD in our heart, and live by THE WORD OF GOD with all our heart, and with all our soul, and with all our might. And for our house, we fasten Mezuzahs to the entrance of our homes and to the doorposts inside our homes to remember always, The Spoken Word of GOD. HEAR O ISRAEL, THE LORD OUR GOD, THE LORD IS ONE. AND YOU SHALL LOVE THE LORD YOUR GOD WITH ALL YOUR HEART, AND WITH ALL YOUR SOUL, AND WITH ALL YOUR MIGHT. AND THESE WORDS WHICH GOD COMMANDS YOU THIS DAY SHALL BE IN YOUR HEART. Posted on January 7, 2018 January 9, 2018 Categories Shabbat MessageLeave a comment on AND YOU SHALL LOVE THE LORD YOUR GOD WITH ALL YOUR HEART, AND WITH ALL YOUR SOUL, AND WITH ALL YOUR MIGHT.